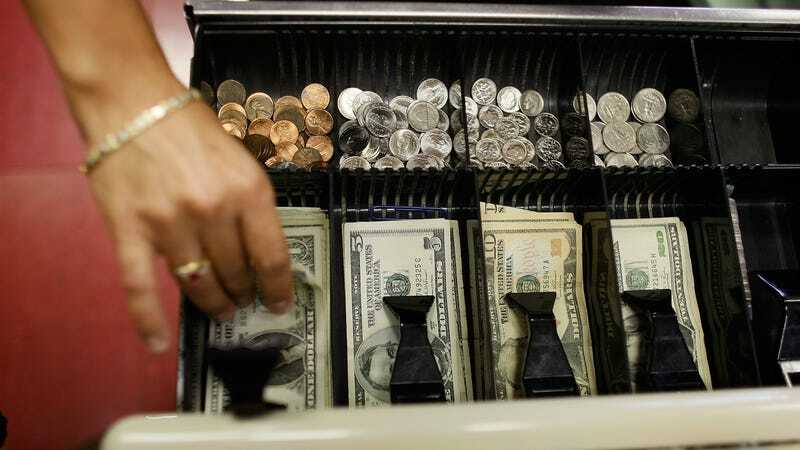 Do you still use cash to for small purchases like coffee or snacks? As more people become acclimated to all-credit-card and mobile payments, Starbucks will test customers’ appetites for a cash-free store. QSR Magazine reports that the pilot store is located in—of course—Seattle, where I assume 90 percent of the population is employed by Amazon and pays for purchases with retina scans. It’s a reality: Cash is becoming less ubiquitous. It’s already passé on many airlines, where in-flight purchases must now be made with cards; Shake Shack has also tested a cashless store. Salad and grain bowl chain Sweetgreen switched all of its stores to digital-only payment last year. According to QSR, sandwich chain Jersey Mike’s recently noted that cash payments make up 35 percent of orders, which is down from 50 percent just five years ago. This led to a staff discussion here at The Takeout: When is it still preferable to use cash? I personally try to have cash available for small buys: coffee, one pint at a bar, an ice cream. There’s a guilty bug inside me that (irrationally?) assumes vendors prefer cash, since it might cut down on card processing fees. But QSR notes that many larger companies prefer cashless payments, as cards and digital payments provide data that can be used to gain customer insights. Cashless payments also cut down on the number of employees needed and reduces theft. But what about mom-and-pop restaurants? Do you still prefer to pay for your $6 sandwich in cash, or do you swipe your card without a second thought?